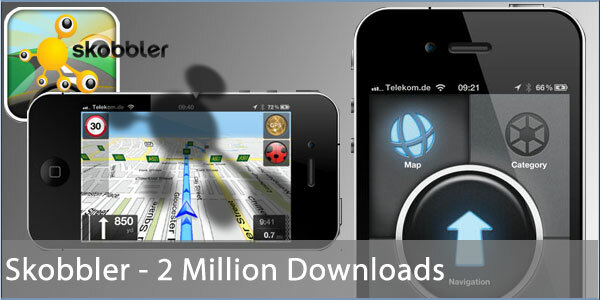 Skobbler are celebrating 380,000 UK downloads and a whopping 2m customers in total. Their GPS Navigation 2 app has proved a big hit with a top 3 spot in nine countries and a No1 place in the Navigation chart here in the UK. The latest update, version 4.1 improves performance with the OpenStreetMap data, faster map loading times, improved route calculations and as well as iPhone and iPad it now adds support for iPod Touch (GPS receiver required). GPS Navigation 2 is available in the Apple App Store for 69p here.